Not familiar with the sling, but an original CW cartridge box was marked "Henry Arms Company". I know Dixie Gun Works sells a reproduction, but not sure if their sling is stamped with anything. Been thinking of buying one for my Henry, well just because really. It is more likely that an original sling would have had "New Haven Arms Co." on it not Henry Repeating Rifle. Just my two cents. Kinda what I was thinking as well, it was just very different from the other sling that was with it. Major Art, the other sling with it was a Dixie repro for the Henry, PM me if your interested. There never was a Henry Arms Company, and there most certainly was not one in 1864. The Henry rifle was manufactured by the New Haven Arms Company. Oliver Winchester and a small group of investors invested in the Volcanic Repeating Arms Company, and when the dust finally settled, Winchester was the president and sole owner of the New Haven Arms Company. A couple of fellows named Smith and Wesson were bought out and went on to start a new company to manufacture revolvers. Although the Henry rifle was patented in 1860, production did not really get started until July of 1862. Winchester did B Tyler Henry the favor of naming the rifle and the cartridge after him, but the New Haven Arms Company owned all the patents. Eventually Henry and Winchester had a falling out, over money, what else. In 1866 Winchester took a well deserved vacation in Europe. At this time Henry tried an end run and went to the Connecticut legislature and asked the company be renamed after himself. When Winchester got wind of this he took the first boat home and squashed the whole thing. Then he renamed the company after himself. At that time, the first Winchester, which later became known as the Model 1866, with the loading gate, was introduced. 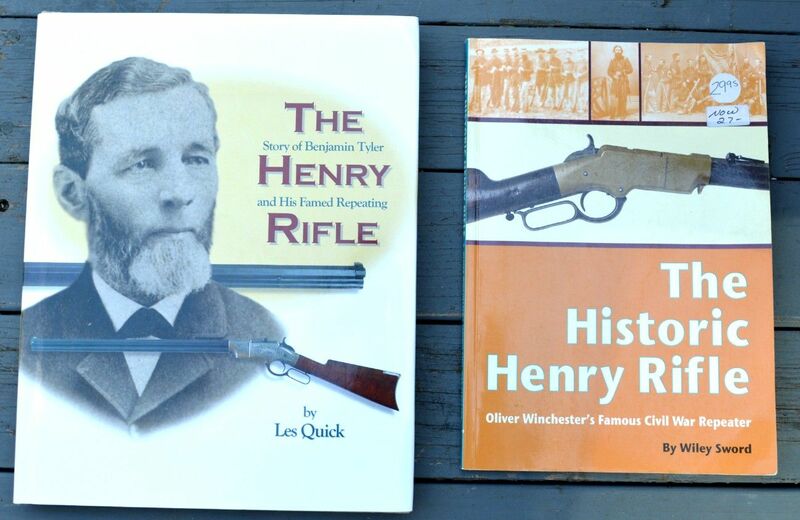 Les Quick's book The Story of Benjamin Tyler Henry and his Famed Repeating Rifle, has two photographs of authentic Henry Slings. One is canvas and the other is leather. Both are extremely fragile. Both slings have a large brass swivel hook at one end, and a brass buckle to adjust the length. Neither sling has any identifying markings. 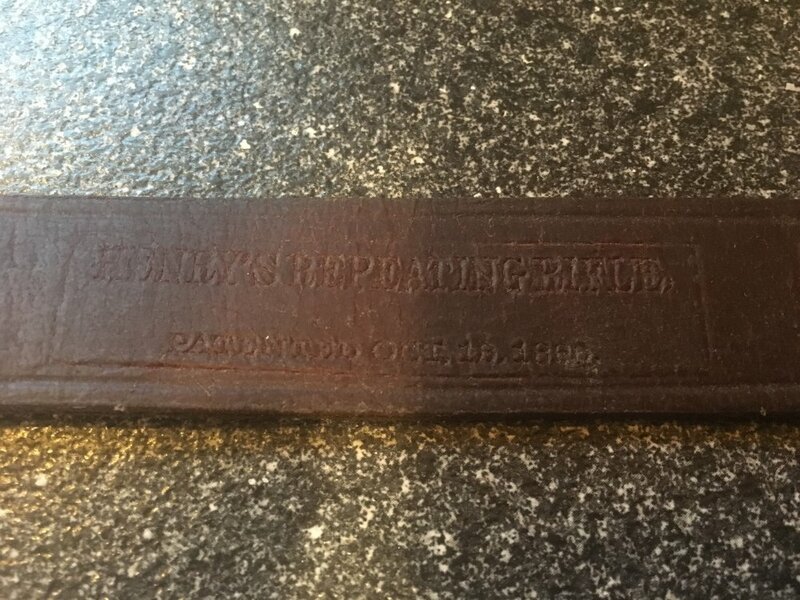 "What is certain is that, regardless of whether they were made of leather or canvas, slings for Henry rifles have not survived in any significant numbers." 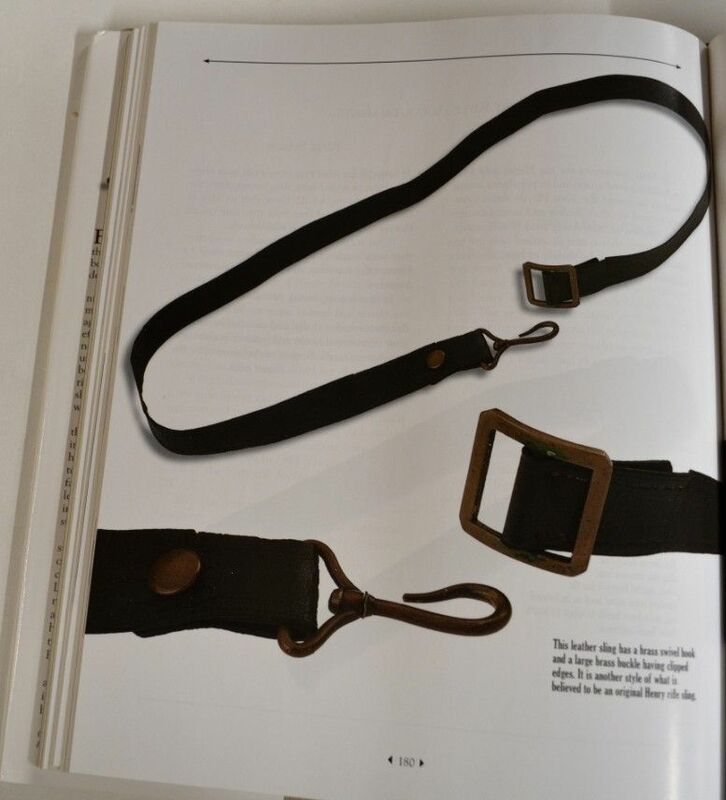 For what it's worth, the sling sold by Dixie looks very similar to the original leather sling in Quick's book. 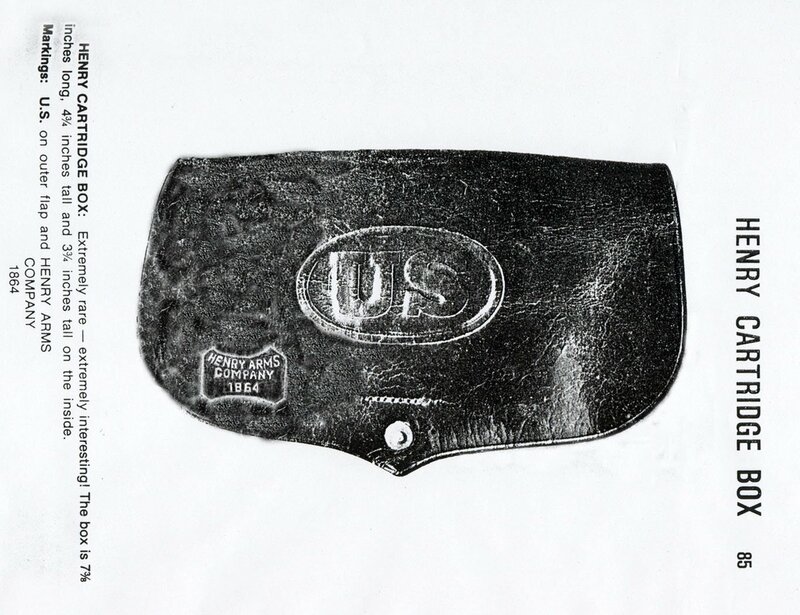 A similar brass buckle, and swivel hook at one end, although the original hook was made of brass. The one on the Dixie version appears to be steel. The reproduction Henry sling I have looks just like the one in the pictures, minus the logo stamping. The hook is made of steel on mine. I actually took it off my rifle after getting, it has a tendency to fall off. 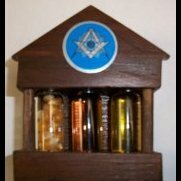 Driftwood, very informative post. Thanks. 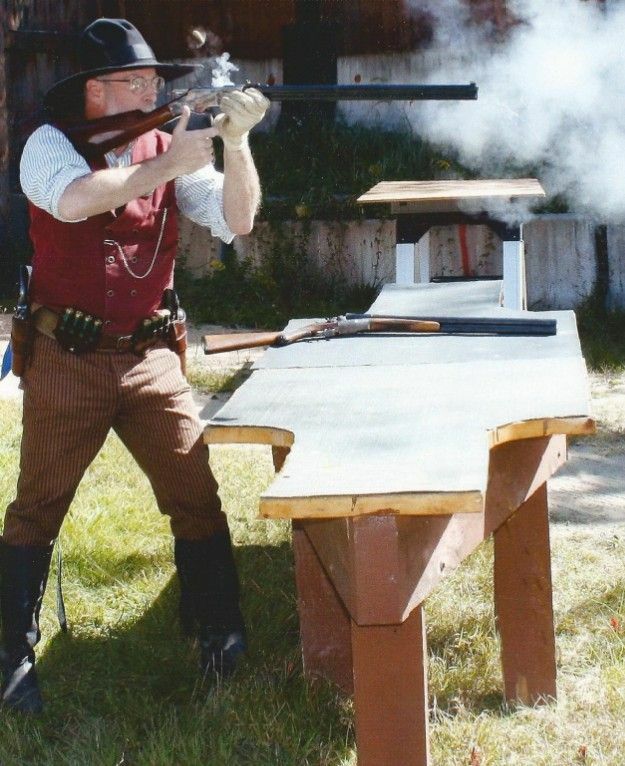 As an owner of the 1860 Henry Rifle and the 1866 "Improved Henry Rifle" as it was described in the Patent Application, I am always interested in information pertaining to the Henry. I had not heard of Mr. Quick's book before. I have another book, "The Historic Henry Rife" by Wiley Sword which is also very informative. However, I don't recall reading the attempt by B.T. Henry to get the company named after himself. The first couple of sentences under the heading The Winchester Rifle. The Sword book is good, it has lots of good information, but the Les Quick book far outshines it. Chock full of dozens of high quality color photos, not just of the guns but of everything having to do with the Henry rifle. Les Quick was a well recognized collector and this book was a culmination of years of experience collecting Henry rifles and talking with other collections. He died shortly after it was published. If you can find a copy you should grab it. 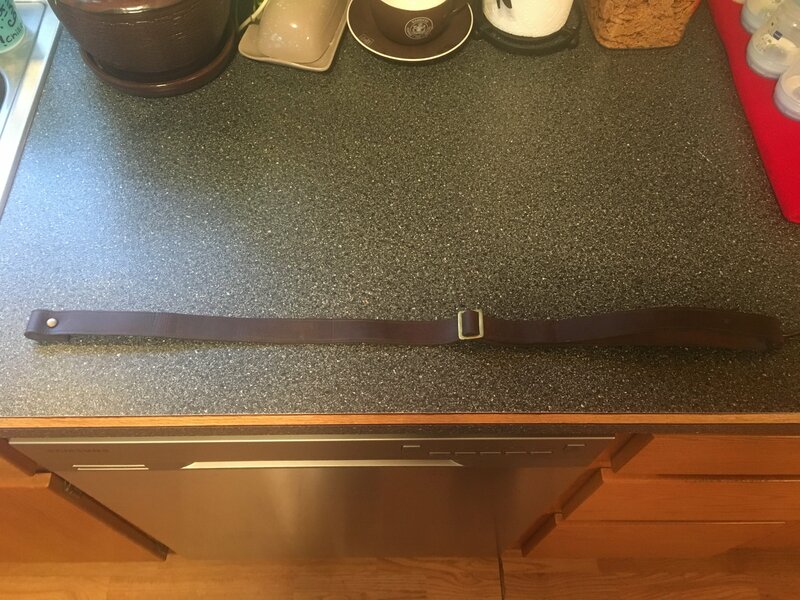 Here is a pretty poor photo of the leather sling from the Quick book. Sorry, the lighting is not too good, but you get the idea. Sorry, I forgot to take a photo of the page with the canvas sling. 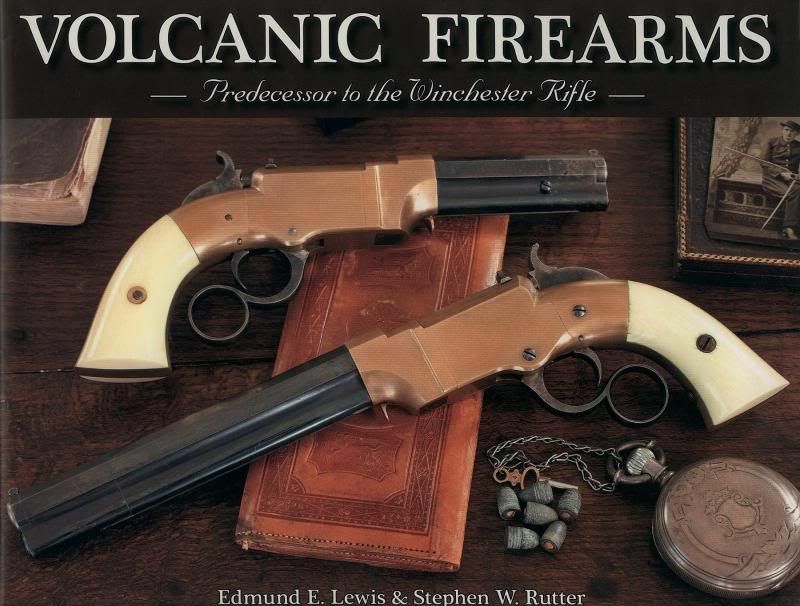 If you really want a complete understanding of these early lever action rifles, you should also pick up the book about Volcanics. The Les Quick book is not cheap. It was published in 2008, and I just went through my Amazon receipts and it looks like I paid $98.95 for it back in 2011. I do not think it is still in print, it was a bit of a limited edition. I see it is going for up to $200 today. I see there is a used one in Like New conditioin available on Amazon now for $156. I would grab it at that price. You can see my copy of Sword's book was marked down from $29.95 to $27. I don't remember when I bought it, but it was quite a while ago. The Volcanic book is not so bad, I see it on Amazon now for around $50. It was published in 2011, and I honestly don't remember exactly when I bought it or how much I paid for it. It too is well worth the price, chock full of terrific photographs of all the different Volcanic models. 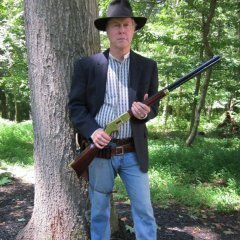 My 'Iron Frame' Uberti Henry has been my Main Match rifle for about ten years now. Other than proof rounds in Italy, it has never had any Smokeless Powder run through it. Driftwood, I will consider that. I know that Smith & Wesson were involved in the Volcanic Company. 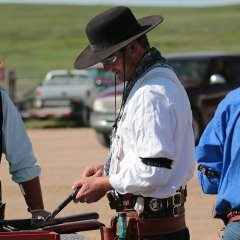 It's my understanding that the volcanic guns used the same link and toggle action that was carried forward in the Henry Rifle. I'm I correct? If that is true, could one infer that Smith & Wesson were the ones who invented the link and toggle system, and that B. T. Henry's contribution was really the Henry .44 rimfire cartridge? I purchased a reproduction sling from S & S a couple of years ago. It is embossed "Henry's Repeating rifle" etc. I have never seen an original sample example. There is a good synopsis of an answer to your question at the Winchester link I provided earlier. Read the section titled Predecessors. The Robbins and Lawrence Armory in Windsor Vermont was an early breeding ground of the development of repeating firearms through the manufacture of interchangeable parts. It was also a breeding ground for gun designers. At one point or another, B Tyler Henry, Horace Smith, and Daniel Wesson, among others, all worked there in various capacities. It can be reasonably assumed that those three were familiar with each others talents through there mutual work at Robbins and Lawrence. To say that the first partnership of Smith and Wesson invented the toggle link system is a bit of an oversimplification. As in so many other things, S&W 'stood on the shoulders' of gun designers before them. There is a good explanation of this, as well as patent drawings in the Volcanic book. 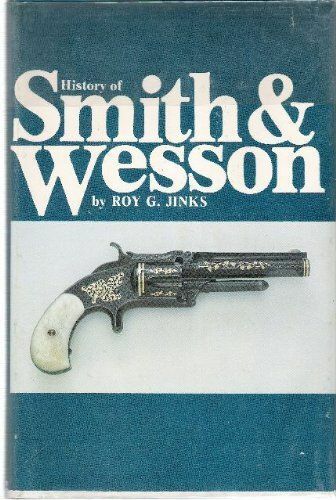 Roy Jinks, the official S&W historian goes into even more detail in his 1977 book, History of Smith and Wesson. Jinks states that much of the early history of development of these repeaters has been lost. It is known that Walter Hunt invented the 'Rocket Ball ammunition in 1848. He obtained a patent on a repeating rifle that would fire his Rocket Ball ammunition in 1849. The mechanism was complicated and not practical. Looking at the patent drawings for Hunt's Volition repeater, it appears to me there may have been a toggle link of some sort in the mechanism, but I cannot be sure. Hunt was primarily an inventor, and not terribly concerned with how easily his invention could be manufactured. Hunt 'interested' George Arrowsmith, a gun maker in New York City, in manufacturing a version of the Hunt rifle. Lewis Jennings was a skilled gunsmith who worked for Arrowsmith, and he came up with and patented improvements to the Hunt mechanism. He simplified it for production. As far as I can see, Jennings' improvements did away with whatever toggle links were inside the Hunt rifle, replacing them with a gear driven system. At one point an investor named Courtlandt Palmer bought up all the Hunt and Jennings patents. Palmer was a money man, he needed gun guys to figure out how to make the firearms. He engaged Robbins and Lawrence as a contractor to produce 5000 of the Jennings repeaters. The Jennings repeater was not commercially successful, so around 1850/1851 Palmer hired Horace Smith to help iron out the problems with the Jennings design. Jinks states it is unclear what Smith's responsibilities were, perhaps he supervised production of the rifles at Robbins and Lawrence. Jinks reports that both Horace Smith and Daniel Wesson were working at Brown & Luther in Worcester Mass in 1851/1852. Jinks speculates that this is the time they began talking about starting their own company. You will have to buy the Jinks book to understand all the twists and turns S&W went through in designing and manufacturing their Volcanic design, however it is clear that from its inception it utilized a toggle link system. All the above has been greatly simplified, the complete story is much more complicated. However Henry's contribution was far more than just developing the 44 Rimfire cartridge that would bear his name. When Oliver Winchester (remember him?) took the reins he first charged Henry with building up pistols and rifles from all the remaining Volcanic parts, so they could be cleared out of inventory. Henry was more than a gun designer, part of his responsibility was to hire all the workers to build the product. He then had to upgrade and beef up the Volcanic design into a rifle that would fire his new cartridge. It was quite a task. However Henry's contribution was far more than just developing the 44 Rimfire cartridge that would bear his name. Driftwood, Wow, thanks again for all of this historical information. Very interesting.